They say that trust is one of the most critical components in a romantic relationship; without trust what do you have? When trust is not present in a relationship, it tends to also lack other healthy components such as communication, vulnerability, intimacy, and security. It is important to establish trust early in a romantic relationship, however, trust can be rebuilt or improved at any time. Unfortunately, trust can be easily broken, therefore it is important to know how to maintain it throughout the ups and the downs. 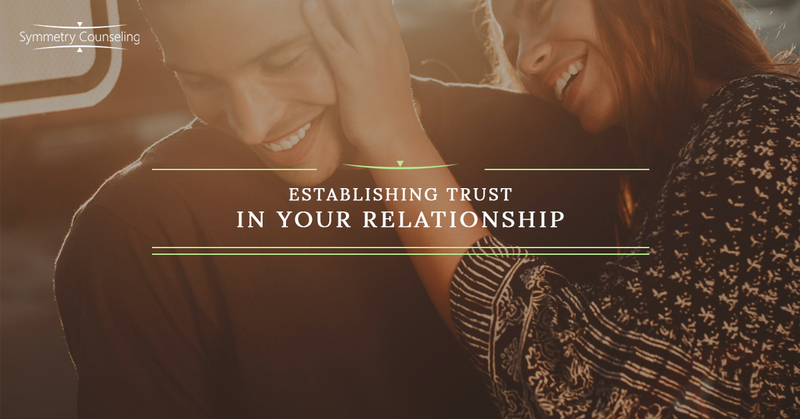 Below are a few ways you can begin to establish trust with your partner at any point in your relationship. Consistency is key in establishing trust with your partner from the beginning. This means you need to call when you say you are going to call, be on time, follow through with what you say you are going to do, and commit to the relationship. As you remain consistent, your partner will begin to open up to you, share things with you, and trust you with their heart. Trusting someone’s words and actions creates that feeling of safety in relationships that so many people desire. There is no trust without honesty and openness. It is important that you are always honest with your partner about your feelings, behaviors, and actions, even if it is hard. Many people have doubts, regrets, or acted in a way they are ashamed of. Rather than harboring these feelings and regret it is crucial you are honest and open with your partner. You can practice openness and honesty at any time by communicating your emotions and needs to your partner in the best way you know how. Transparency means sharing your true self with someone: the good, the bad, and the not so pretty. Many people hide parts of themselves from their significant others as they may feel ashamed, scared, afraid of rejection, or insecure. When you show your true self to another person you are showing them that you trust they won’t judge or hurt you. When you trust them they may feel safe enough to share their true self as well. Prioritizing transparency will breed emotional intimacy, trust, and vulnerability. In your conversations with each other, it is important to be sensitive to your partner’s feelings and remain fair during arguments or disagreements. Displaying sensitivity and fairness includes active listening, compromise, empathy, and understanding. When you actively listen and empathize with your partner it conveys that you care about what they have to say and how they feel. Being able to trust someone emotionally means you can be vulnerable and honest with them, which facilitates closeness. If you are finding it difficult establish trust in your relationship and would like some support, it may be useful to connect with a therapist. Contact Symmetry Counseling at 312-578-9990 to set up an appointment with one of our very skilled therapists today!